You will relive your amazing memories of your stay at Le Cormoran, thanks to the numerous organised fun events, varied and fun for all the family. Our teams of organisers take care of everything to help you take part in some unforgettable time in Normandy. Relax, sit back and enjoy, all you need to do at our 5 star campsite. Our entertainers, comediens and musicians are all raring to help you spend great times with your family and friends. Something for everyone and fun for all. Every year we put together an amazingly diverse programme of entertainment, for all tastes and all age groups. From Sunday morning to Friday evening, 10.00am to 23.00pm, a comprehensive agenda of activities are on offer. From Kids Club to Bingo nights, or kayaking in the sea for beginners and yoga sessions, everyone will find something of interest to try, making your holiday the best we can. 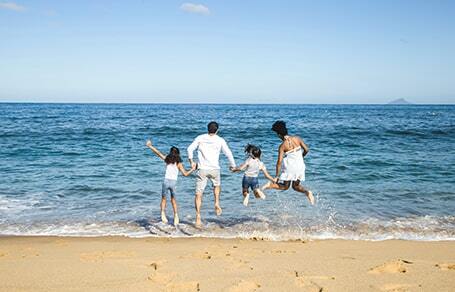 The Kids Club leader offers children from 4 to 10 supervised activities and games. Your children can make new friends and let their imaginations fly in the craft workshops or test their skills trying new sports. This year Koh Lanta is all the rage! Which team will take the final victory, the reds or the yellows? In the safe hands of our instructor, try sea kayaking. You will follow the coast along Ravenoville beach, where there are pretty little seaside houses in all different colours. Try a sea trip finding your balance on a paddle board! Our instructor will get you started in this fun sport. Try out Lanyard. A healthy sport, in the form of an aquatic ramble. You walk in the sea in front of the camp site, either at neck or chest height. Time to get moving! 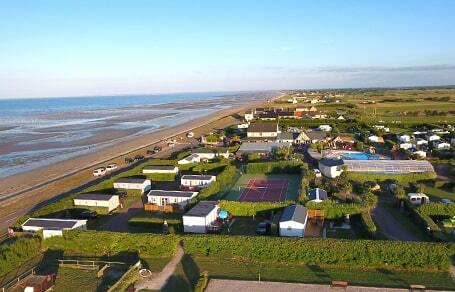 The campsite offers a multitude of sporting activities. With our organisers and instructors, get in shape and have some fun! At the end of the pool try out our new aquabikes. The cardiobiking sessions are not only a brilliant cardio work out, but tones all your lower body muscles. A mix of dance and keep fit, Zumba reshapes your body to the latest music, with dance moves that are simple to follow. Every morning our team wakes you up gently in the warmth of the indoor pool, with aquatic sessions to get your muscles toned for the day ahead. An unmissable holiday experience : head off on horseback for a ride along Ravenoville beach, organized by the equestrian centre next door to the campsite. 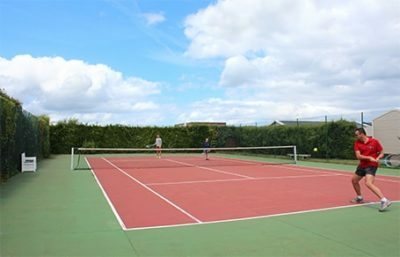 In July and August we have organised sports competitions in the grounds: tennis, ping pong, football, basket & homeball. Numerous dance and musical activities await you: Shake to the Brazilian Rio Carnaval beat by joining our Samba workshop. Young and old can try out the percussion of Batucada. Or join our master of all things Country and learn line-dancing. Head for the wild West in by way of the dance. At last! You can walk on water! Your children and teenagers will love Aquabulle: climb in the ball and see just how long you can stand up for! Guaranteed fun! Our trainers also take all the aquatic games in the indoor and outdoor pools: prisoner ball, water polo. Trampolines, games fields and inflatable games all available for your children throughout the entire season. Every week we organize a show for the children. Our artists will have them wide eyed at magic tricks, clowns and circus arts. The bar also hosts numerous talented musicians to liven your evenings from 20.30 to 23.00. Put on your own show! Learn the Summer dance, official choreography of the camp. Lend your voice to the karaoke for adults and children alike. Dance nights and children’s specials are all organized. During the week there are paella nights, crepes and ice creams in the camp bar. Above all else, holidays are to relax. Book an appointment with our beautician. Under her expert hands you can spend time enjoying treatments and facials. Back massages, wraps, manicure and hydration treatments. A hairdresser is also available for a little cut, colour or a blow dry. To absolutely complete your relaxation time, take part in our yoga sessions and relax both body and mind. You will be given the full list of activities on offer at check in. These will also be on display at the entrance to the camp site, showing the full list of activities, plus the time and place they will take place. Some activities are for limited numbers only, therefore it is necessary to sign up, at reception as quickly as possible. Eating, up to the table! Fresh, local produce are available at the entrance to the camp, to make delicious meals. The Sunday market, also at the camp entrance: A large rotisserie offers chickens, shoulders of lamb all roasted over a wood fire. A greengrocer with fresh fruit and veg and a cheese seller are also there. A fishmonger comes every Friday midday. During the week don’t miss our paella nights, crepes and ice cream sundaes. In addition to all the activities on camp, there are loads more things to enjoy with family and friends nearby. The Farm Museum in Sainte Mere Eglise, also the Maison du Parc des Marais du Cotentin at Saint Come du Mont offer various workshops during the holidays to discover the culture and heritage of Normandy.  For music lovers, there are many annual festivals: Jazz under the apple trees in Coutances, The Nigh time Butterflies in Saint-Laurent de Cuves, and Art’ Zimutés à Cherbourg and the festival Beauregard at Herouville Saint Clair near Caen. Not to mention markets, car boot sales, and flea markets you will find in the villags around Ravenoville. 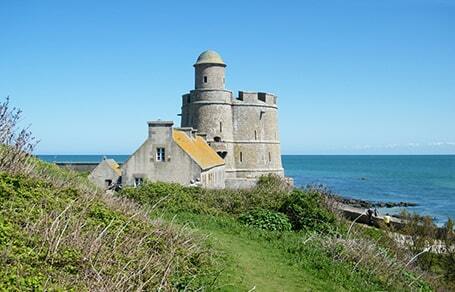 To find out more about our family run campsite, situated on the seafront, in a beautiful natural setting. 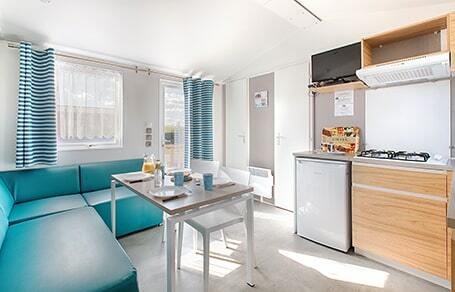 Find the place to stay best suited to your needs for your stay in La Manche, rental accommodation or camping pitch. Aquatic park, bar, sauna, playing fields…we hope you will appreciate the range of amenities available and the equipment on offer on site. Browse our pricelists to choose. Its lively round about the campsite! Check out all the organized local events round and about.